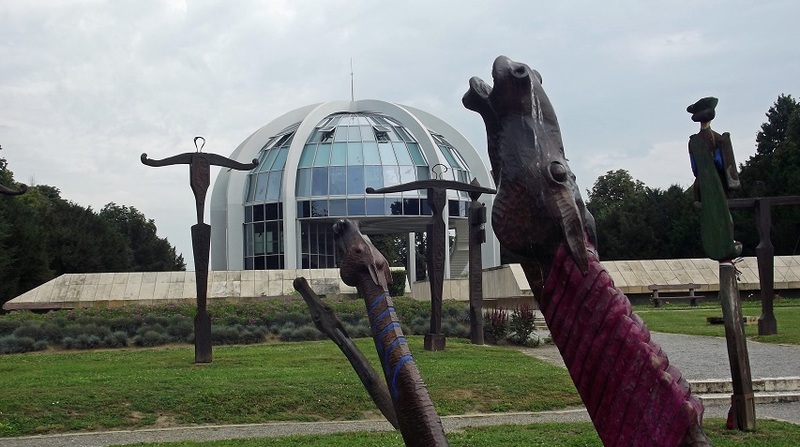 In 1976, 450 years after the battle that destroyed the Kingdom of Hungary, the Mohács Memorial was opened. 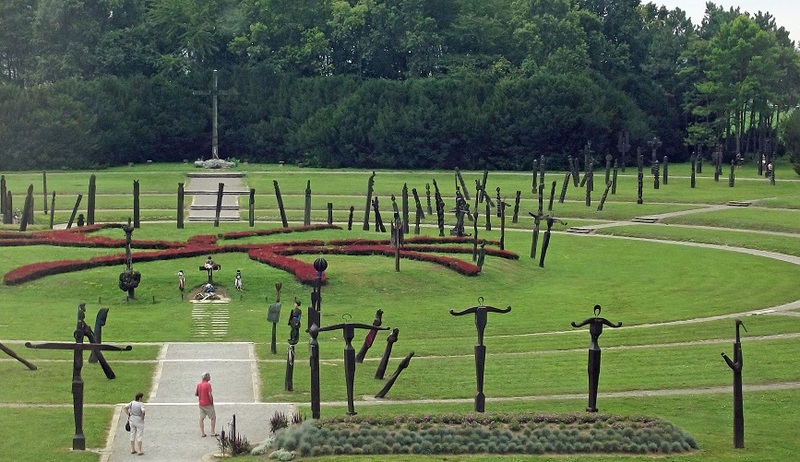 Scattered about the wide green park are 120 wooden grave poles beautifully carved in the Hungarian style depicting the horrors and sorrows of a brutal war. 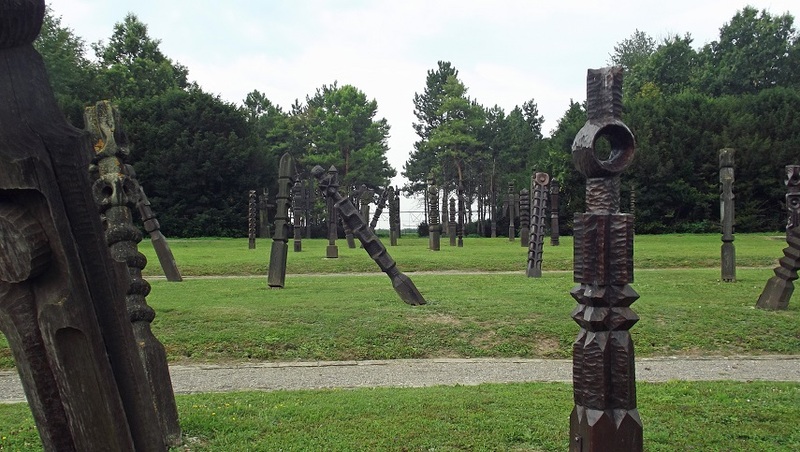 They are not grave markers, but reminders of the vastness of the bloody battlefield. Still, I was careful where I walked on the lawn, respectful of the souls that died here. Near the entrance one statue shows the young King Lajos who died that day. Another shows the suffering of an impaled man. Another, the anguish of one of the mothers who killed their own injured sons to spare them torture by the Turks. There are terrified horses, wounded and dying. The victor, Sultan Suleiman “the Magnificent” holds a bag of heads of slaughtered Hungarians. More than 15 thousand men, and 10 thousand horses perished in one afternoon. At the center of the park concentric circular paths lend themselves to quiet contemplation. 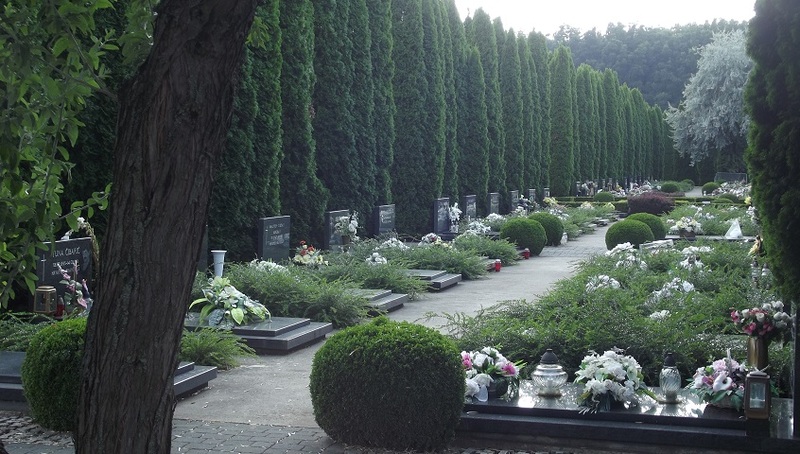 Several hundred of the dead are interred in 5 mass graves in the center. It is a somber place of old death, fear and agony. 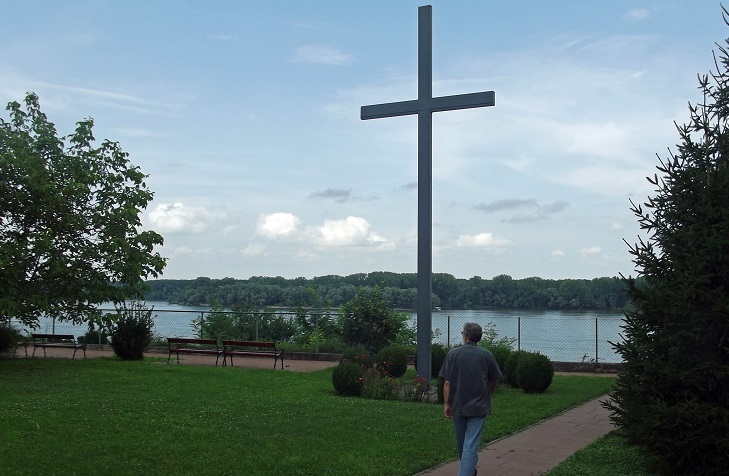 After Mohács, we crossed the Croatian border travelling south to the city of Vukovar, named for the Vuka River that joins the Danube there. We came to see the Church of Saints Philip and James where my great-grandparents were married in 1858 and where my great-grandfather was baptized 4 years later. 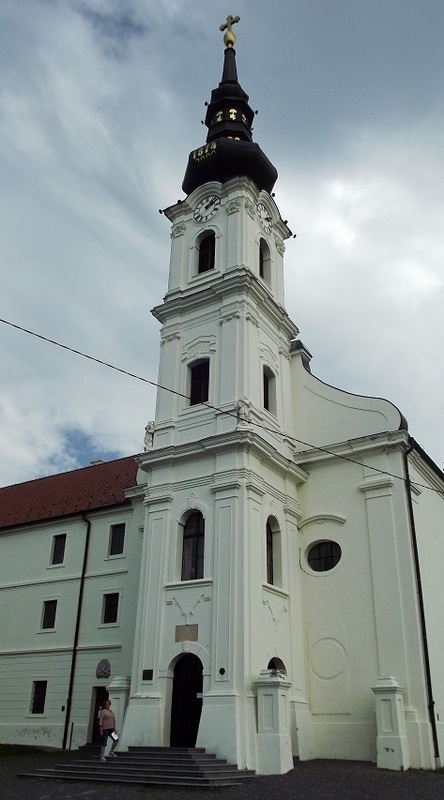 In the time of the Austro-Hungarian Empire, when my family lived there, it was a lovely baroque city. 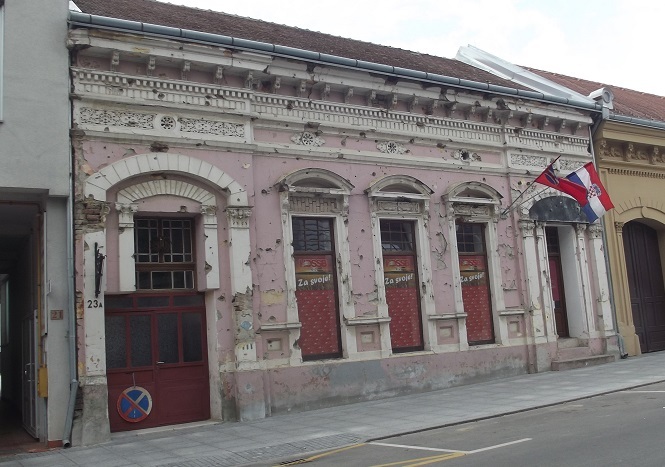 That all changed in 1991 when Vukovar was under siege by the Serbians during the Croatian War of Independence. The siege ended when the 2,000 self-organized defenders were overwhelmed by the attacking 36,000 troops. Hundreds of civilian volunteers, and women and children were massacred in the hospital. Many buildings still show the bullet holes from the fighting and many buildings are just piles of rubble. Saints Philip and James Church on the hill looks down on the heavily damaged water tower about a mile away. It is left as a permanent reminder of the battle. But life goes on. 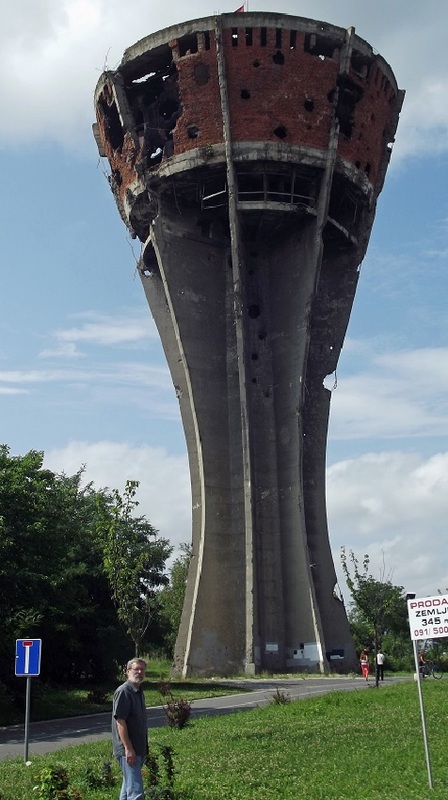 The tower is in a small park that it shares with children’s playground equipment. South of town is the Heroes Memorial graveyard. A sign at the entrance warns to stay on the path as there are still land mines in the area. Row upon row of gravestones, many with pictures, mark the tombs of those brave young volunteers. More open gravesites wait for those who have not yet been found or identified. 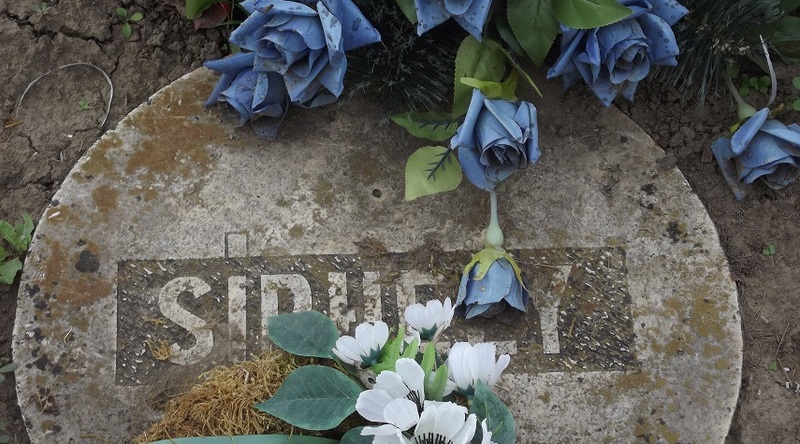 The graves in Vukovar are lovingly tended and decorated with flowers. 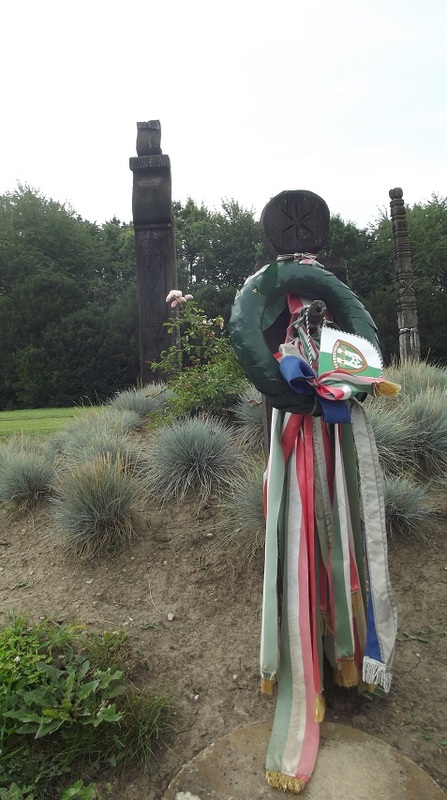 At the memorial in Mohács there are flowers as well, and the traditional Hungarian wreaths beribboned in the national red white and green. I wonder if centuries later there are still families that go there to cry. This entry was posted in Édes, Mohács, Vukovar and tagged Battle of Mohács, Siege of Vukovar, Zsigmond Édes by edesorban. Bookmark the permalink. Driving through eastern Europe gave us the opportunity to stop wherever something looked interesting. One Sunday’s stops were especially moving. Another enjoyable post. Crying Places is so suitable. Really nice, Diane. Put me in a somber, contemplative mood this morning.